The A12 is one of the major strategic economic corridors facilitating trade within and across Essex. 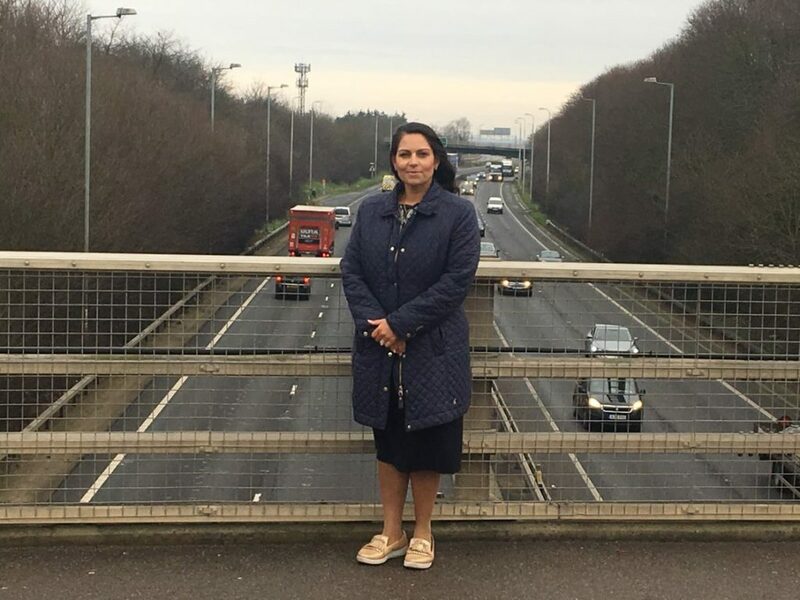 Since being elected in as Witham’s Member of Parliament I have campaigned for this road to be improved along with the A120 and the Great Eastern Main Line to facilitate growing demands, improve safety and to support economic growth and job creation. The announcement by the Government in 2014 that they would commit to investing in the A12 widening scheme to widen the road into three-lane carriageway between the Boreham Interchange (J19) and Marks Tey (J25) was widely welcomed. Since then the Government and Highways England have worked on developing a scheme which went out to consultation in early 2017. An announcement on the preferred route alignment was scheduled for early 2018. Throughout this process I made it clear to Highways England and to local councils the importance of ensuring that the A12 widening scheme and proposed housing development were compatible and one would not compromise the other. This is why it is so disappointing and frustrating that shortly before Highways England were due to make their announcement Colchester Borough Council changed their housing and development proposals. They had ample opportunity to put forward proposals sooner before the consultation began but left it until after the initial work and consultation had taken place. Colchester Borough Council’s actions have directly caused a delay in making the decision on the scheme which will have an impact on our economy. It is also causing uncertainty to residents who live close to the A12 or the proposed re-aligned route and could be affected by the widening scheme. This situation has been compounded by the fact that the Council’s Local Plan process which is considering the future housing development proposals has stalled after an independent planning inspector questioned the proposals and evidence base. Timescales for securing approval for the housing development plans keep getting pushed back too, further delaying the A12 widening scheme. Had the Council not changed its housing proposals the A12 widening scheme would be getting closer to final sign off and construction. Colchester Borough Council have failed to accept any responsibility for causing this delay and have not understood the inconvenience caused. The Government, Highways England and Essex County Council are trying to make the most of this situation and working to prepare for the outcome of the deliberations over housing developments. However, with Colchester Borough Council making a mess of the Local Plan process I want to see the Government work to find a solution which can get the widening scheme progressed sooner. The benefits of this scheme are too important to be held back by the incompetence at Colchester Borough Council. The Council can make as many statements as it likes trying to defend itself but they cannot escape the fact that they are to blame for delaying one of the region’s most important infrastructure projects.